Nexus 4 LTE Version Coming Soon? With all the rumours of the Nexus 5 circling lately you could be excused for missing the occasional rumour regarding a Nexus 4 LTE version coming soon that will sit alongside the upcoming Nexus 5 as a budget model for those either not requiring the grunt of a Nexus 5 or just want an affordable phone. We have seen the 8GB Nexus 4 model drop to $250 on the play store recently and the 16GB version dropping as well. 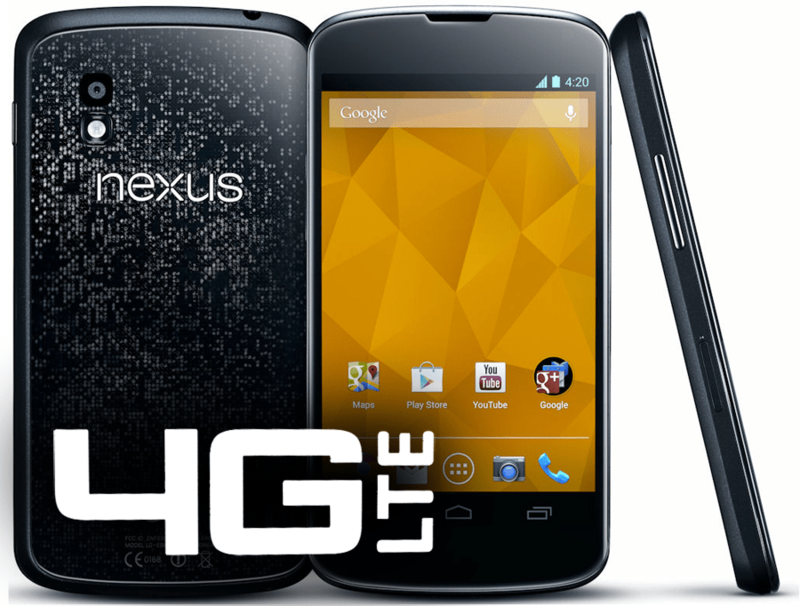 There was a lot of speculation earlier this year that a LTE version of the Nexus 4 would be arriving at Google IO. That failed to eventuate. A week or so ago we reported that an LTE version of the Nexus 4 will sell alongside the Nexus 5 for $349US. While these rumours were just that rumours without anything concrete to substantiate them today a Nexus 4 LTE version passed through Bluetooth SIG hopefully on its way to a Play Store near you. 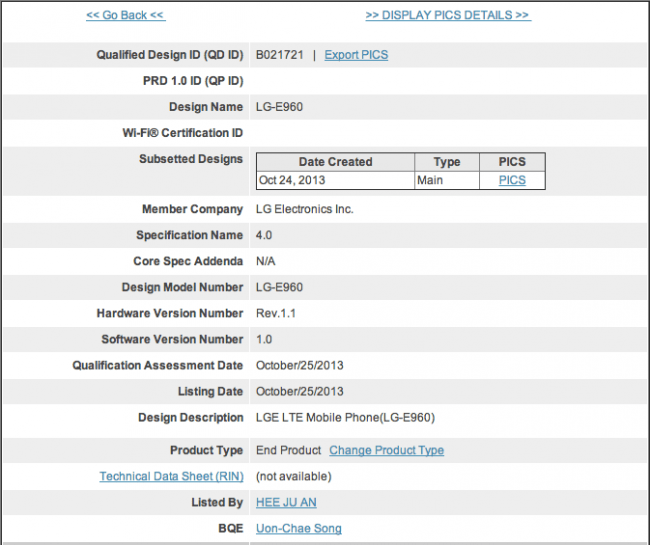 The Bluetooth SIG filing was as an “LGE LTE Mobile Phone (LG-E960)” which is also the model number of the current Nexus 4. While the current Nexus 4 does already have LTE capabilities the LTE frequencies it can support (through some hackery) are not available in Australia. There is a lot of speculation regarding the price but considering we saw the Nexus 5 leak onto the play store at $349US for the 16GB model we can assume and only hope that an LTE version will start at around $299US for the 16GB model. It is unknown whether the 8GB version will be phased out or not. If not we would assume that will come in $50 cheaper at $249US following Google’s current pricing structure for its devices. The clever guys and gals over at reddit have speculated that this is a sloppy filing as the version of the phone is 1.1, the same as released earlier this year. This could well be the case, but if so why would we be seeing it pass through Bluetooth SIG this late in its lifespan? We are all just speculating at this point but if it is indeed an LTE model of the Nexus 4, we should definitely see a filing with the FCC for certification of the LTE radios fairly soon. Either way, with a Google Event for Android 4.4 and Nexus devices sure to be coming soon, we’ll know for sure soon. Is it too late? Would anyone at all consider buying a Nexus 4 LTE when at the same time they could buy the Nexus 5 for only $50-100 more? Myself, I would consider the Nexus 4 a great device for my parents at the right price as they do not need the extra oomph that the Nexus 5 provides. Source: Bluetooth SIG, and Reddit. If this came out earlier this year I’d have already bought it. If there is any N4 refresh that would mean they’re having a low-end price-point and a high-end price point (N5). That would purely be to increase the price of the N5. Sounds to good to be true as always but I know people who would buy it.